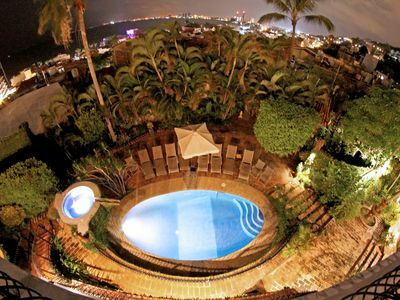 SAFE and Private Paradise in downtown Puerto Vallarta. Just 3 Blocks to the Beach and the famous Malecon (boardwalk) within walking distance to everything- restaurants, shopping and entertainment. No car needed! A private paradise right in the heart of the action. 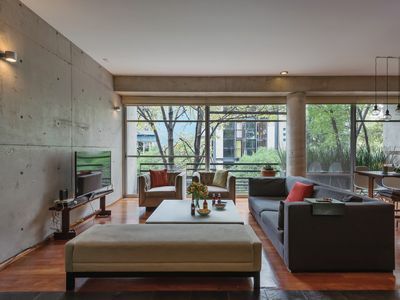 Located downtown, but once you enter the property you’ll completely forget as the property is very private. Just a few short blocks until you're relaxing on the sandy beaches or heading for a night out on the town! 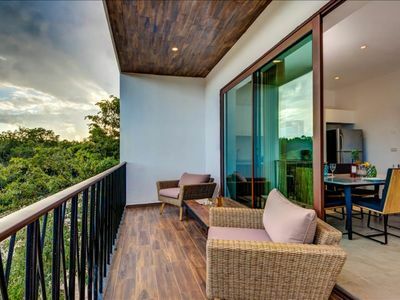 Casa Corona is a luxurious multi- level, 6 bedroom, 8 bath open-air home located in walking distance of the finest restaurants, galleries, and shopping downtown Puerto Vallarta has to offer. 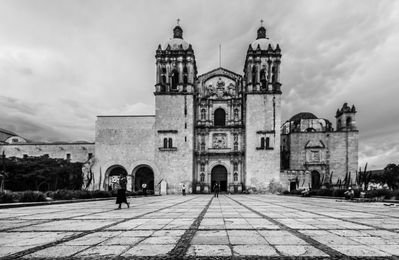 Casa Corona showcases classic Hacienda architecture and the finest craftsmanship and authentic decor in the region. No car is needed, within walking distance to most everything. Taxi/Uber everywhere throughout the city if you prefer. Bus is a safe and authentic experience, too! Our staff is very accommodating, we strive on customer service and will be in frequent communication to assure you have the most relaxing stay possible, from time of booking and throughout your stay. 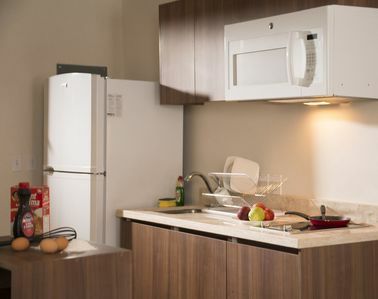 Our guests rave about our accommodating staff, including owners, property managers, house staff and chef. 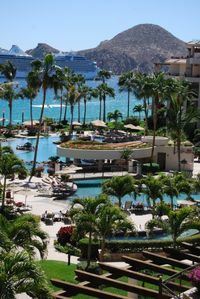 We offer a smooth, hassle-free booking process and travel resource as you plan your travel to PV, with Travel tips and accommodations along the way from transportation to assisting with grocery shopping and stocking the gourmet kitchen prior to arrival. Plus get our secret guide with things to do and places to go, best restaurants + local tips we’ve collected and reserve for our guests only to make your stay most enjoyable! Great for large family gatherings, birthdays and anniversaries, couples retreat, corporate retreat, bachelorettes, weddings and events. 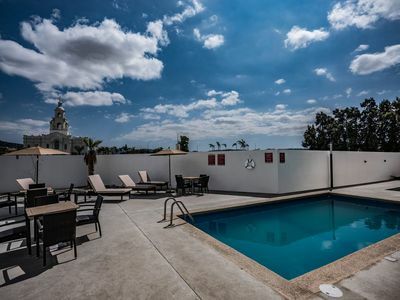 Casa Corona has been the perfect venue for MANY weddings of all sizes and events over the years and our staff has great resources and additional accommodations to help meet your needs. We can help coordinate wedding vendors and/or provide reliable references. Private chef available for fee. 360 panoramic ocean/city views & nightly fireworks. Many additional accommodations available including food/shopping services, transportation to/from airport, private chef, spa/massage services at the villa & much more! 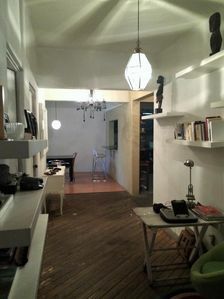 We have 3 brand new properties next door in the same great location & can now offer accommodations for UP TO 20 people. 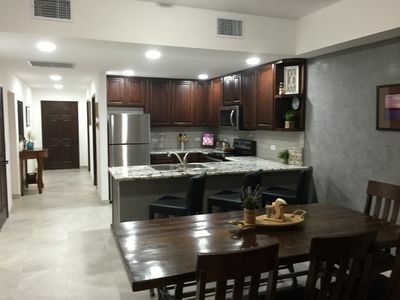 See our brand new units that can be rented in combination with Casa Corona for large groups up to 20, or smaller options in the same great location. Please note additional fees may be charged for additional guests over # specified when booking or over 12 guests total. Other fees may be charged for late/early check-in, same day changeover, weddings and events,, transportation, chef, concierge, shopping services. Staff is so accommodating, it's like walking into heaven. 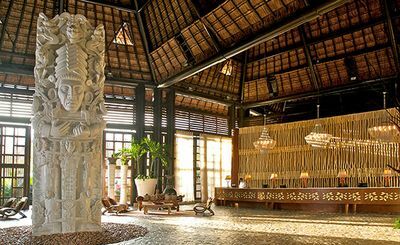 Authentic decor everywhere you look and each suite has a different theme with beautiful furniture, decor & local art everywhere you look. An exceptional place for large family gatherings, the main floor features an expansive great room and an extraordinary gourmet kitchen with state of the art appliances and fixtures. Three of the exquisite en-suite bedrooms are located here. Two of the bedrooms share a common veranda overlooking the ocean, the third bedroom features a private garden and soaking tub. 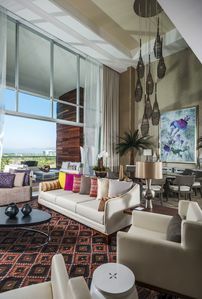 The great room overlooks the private grounds featuring the Jacuzzi tub which cascades into the pool. 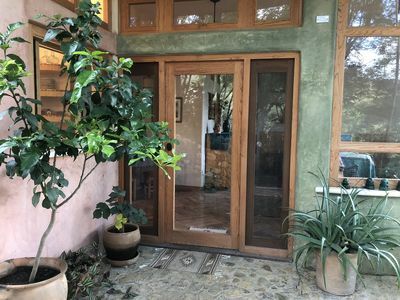 3 remaining bedrooms are located on the lower grounds level, surrounded by lush native gardens, pool, jacuzzi and outdoor BBQ area, the grounds are perfect for entertaining friends and family or corporate events. The terrace level captures the breathtaking view of the entire city and ocean and is perfect for whale watching or entertaining friends while enjoying the nightly fireworks. Pinch me! I think I’ve died and gone to heaven – What a lush beautiful oasis in the middle of the hustle and bustle. I had absolutely no trouble relaxing here. Thanks Dale for a great time!! The quad rides were pretty cool too! We’ll spread the word! 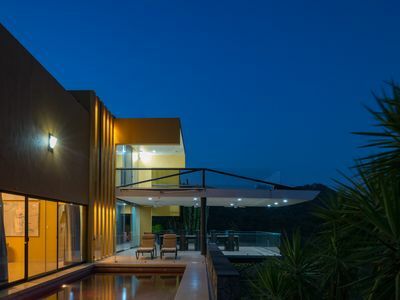 What a cool place to stay – Casa Corona – Great views. Feels like a home away from home. Safe, secure, & satisfying. I’ll be back! Had a beautiful time, hope to return soon! Casa Corona is like a little piece of paradise surrounded by more paradise – like a big paradise doughnut! 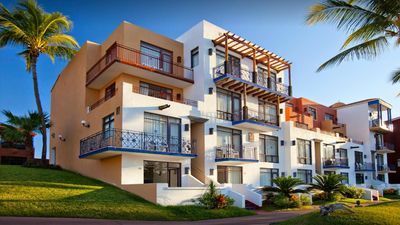 Viva Casa Corona Vallarta! A destination for fabulous friends! 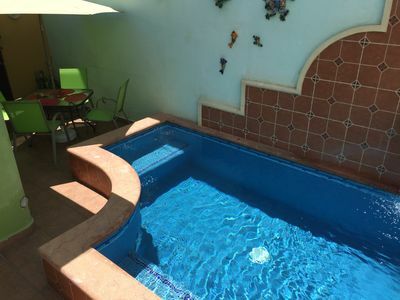 Casa Corona is the ONLY place to stay in P.V.! It is the perfect setting for a relaxing vacation. Adriana & Carlos went above & beyond to make it a lovely time. Casa Corona is the most beautiful place ever! The views are amazing, wonderful temperature, I felt safe and like I was very close to home. This is the best experience of my life. Casa Corona is a very beautiful place. There are no words to describe the wonderful time I had and how beautiful it is here. Puerto Vallarta is beautiful! Everyone is friendly and funny. Many adventures to do here, but can’t do it all at once. Thank you so much Dale for having us. One of our finest environments ever for overall, business and pleasure. Dale, you created a masterpiece! OMG! This place is awesome, we’ve had such a relaxing, productive & delicious time here! Thanks for everything- what a great way to start the new year! Thank you for the invitation to such a beautiful home. We had a wonderful time. Adriana & Carlos were great! They made sure we had everything we needed. We would love to return to your beautiful home some day. 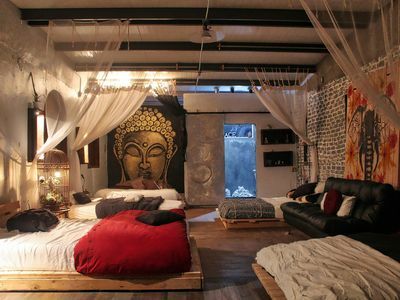 This is a beautiful, relaxing place to stay! Great location. We have stayed a couple other places and this is the best so far, will come here again & again! We were very well taken care of. Thanks Dale, for making this such a special place. Your attention to detail has impressed all of us, even those that build custom home’s in Palm Springs! Carlos & Adriana do a great job. Thanks Dale! The journey continues. Your hospitality and Casa Corona allow us to extend our journey to new and unexpected levels. I look forward to many - many more new adventures. What a great life. We had a terrific time at a very special place. The combination of great temperature, views, food, and family just can’t be beat. The work that you have done at Casa Corona is truly amazing and very special. It was great to share it with you. Thanks! 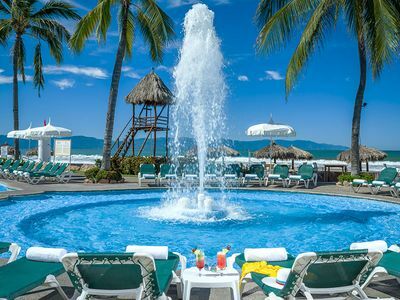 Puerto Vallarta only gets better with time and Casa Corona made it the best time ever. Timelessly elegant yet so welcoming. Casa Corona is perfect! Thank you for sharing! Dale, you have an amazing place. Thank you for letting my family stay in your home. Could not have asked for my first trip to Mexico be any better. Hope to be back soon. Thank you Dale. A wonderful spot. 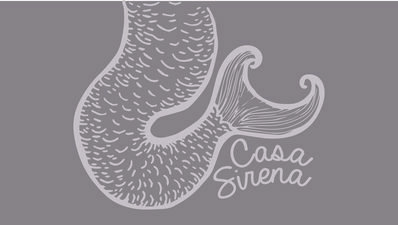 We had a great time at your casa and the staff were so friendly and helpful. Dale, Awesome place! Best location, thanks for allowing us to enjoy your casa! First time to Puerto, Vallarta and couldn’t ask for a more beautiful place to stay than Casa Corona. All those who care for this home made our stay wonderful and stress free. We had a great time with all our friends, new and old. Thank You!! This was a very enjoyable stay… The house views are outstanding! This was truly a wonderful experience. Our stay here was made so welcoming and the week went by too quickly. Carlos & Adriana are great and did a wonderful job! Your house and staff were amazing. The beauty and location from behind those walls is hidden paradise. Plenty of room to socialize in one big area or find a nice quiet nook to read a book. The view of the bay especially with the fireworks going was mesmerizing. We enjoyed being able to walk to the beach every day along the malecon and stumbling back home at night. You have a unique piece of property that has all the characteristics of what in my mind PVR is all about. Thanks for your hospitality. AMAZING VIEWS OF LAND'S END - NEWLY UPGRADED! 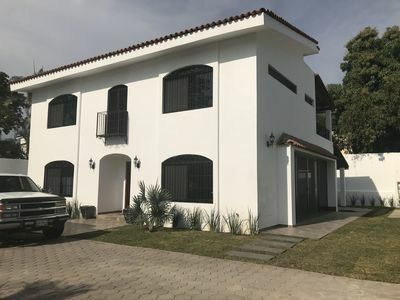 CASA AVE DEL RISCO "luxury Vacation Villa"